On March 15th, our Mayfair location was transformed into an elegant evening scene and was host to the Pepper Gallery featuring paintings by Paul Wright. With the simple draping of black fabric, the staff at the Pepper Gallery transformed the Hall to set the dark and mysterious scene needed to display the artist work. The location of this site in the heart of the art world makes it an ideal location for such an event. The Pepper Gallery is owned and run by Artist Beatrice Ridley who set up the Gallery to represent hundreds of artist’s extraordinary work. In this particular exhibit she was representing Leicester born artist Paul Wright. His work is almost abstract which he states provides glimpses of the subject’s inner self rather than a true likeness to their exterior appearance. 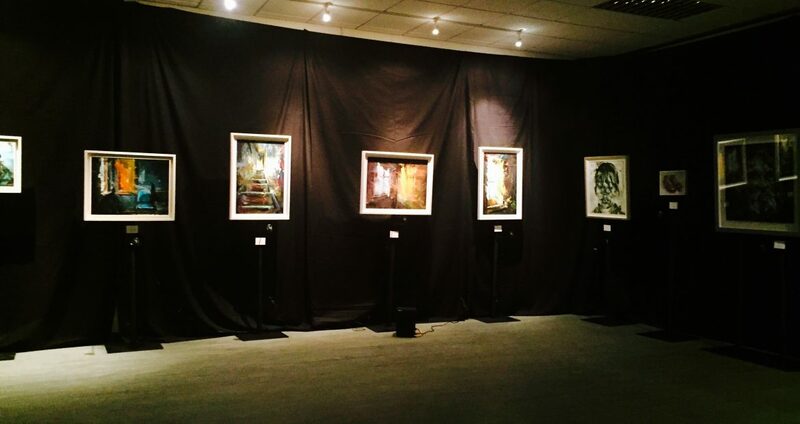 This is the second time the Gallery have used the Mayfair Army reserve centre to hold an Art Exhibition. To see other venues that can accommodate similar events please click here.